Summer calls for the freshest food you can eat and taking advantage of the beautiful weather outdoors (before winter arrives) is a must. Outdoor patios, dinners on the lawn and feasting with a view are the way to go. 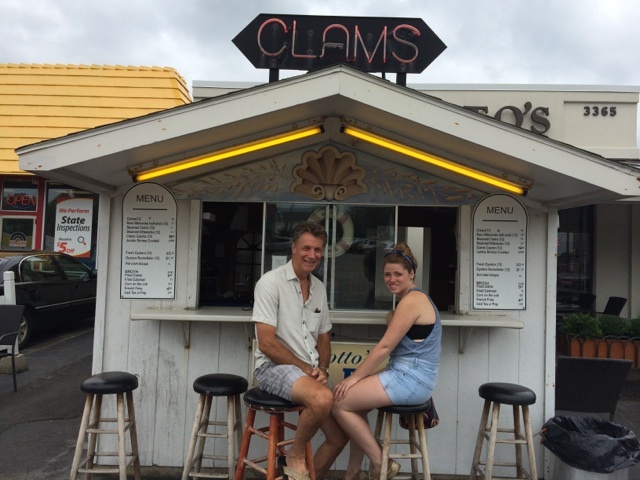 For us at Rookie Chef, we can’t go long without a stop at a local Clam Bar. On a recent trip back to Buffalo, we stopped by one of our favorite little shacks in Kenmore, a suburb just outside the city. 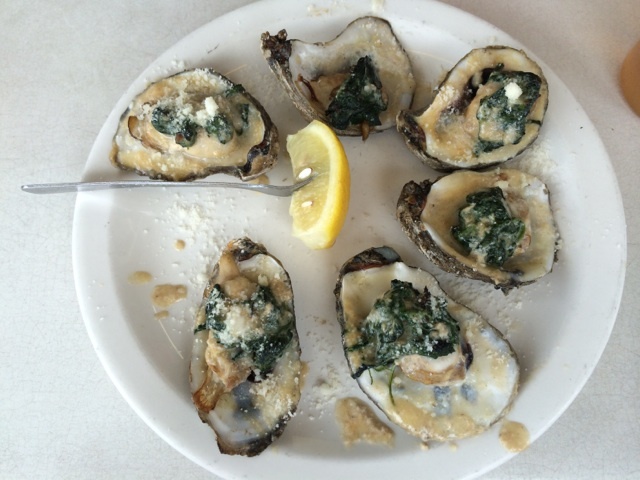 Here’s a look at our good eats and taste of the sea. The clam shack is fantastic. Dive up to the restaurant (which serves casual Italian food) and walk right over to the raw bar where you can sit in the air-conditioned patio or right up at the Clam Bar here. Inside the “Shucker” pulls the clams right out of the ice and shucks them right before you. It’s as fresh as it gets. 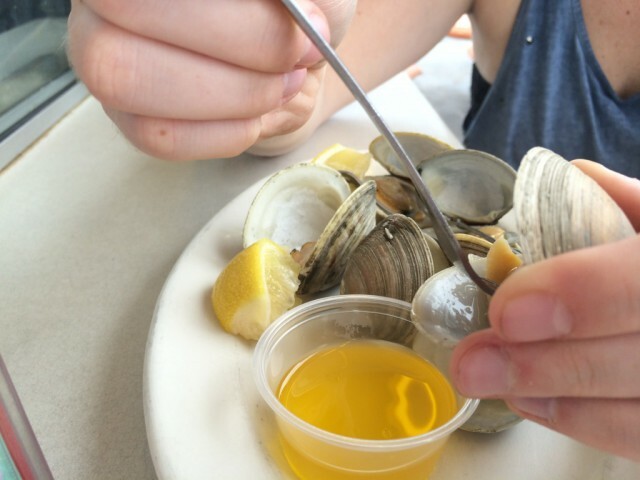 Our first sampling were half a dozen raw littleneck clams, accompanied with fresh lemons, vinegar and hot sauce — to add to your liking. These were great. 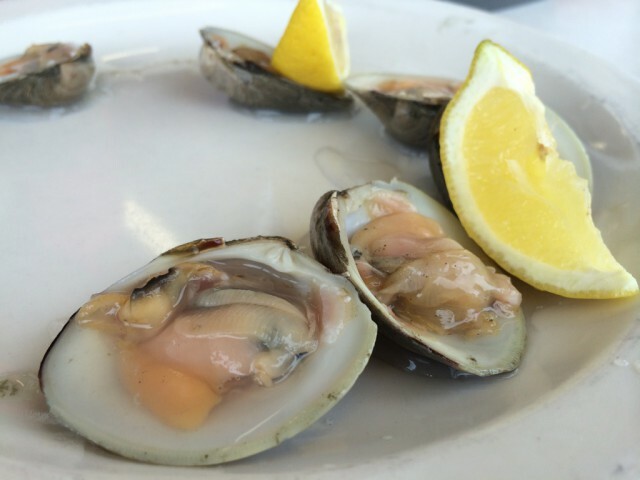 Our favorite add-ons with littleneck clams usually include lemon juice and horseradish, but I liked mixing it up. Next on our list were another half dozen steamed littleneck clams with warmed butter and lemons. Again, these were great. Heated up with a great flavor and dipping them in butter is one of the most satisfying flavors you’ll ever have with seafood. Too good. I could have eaten a dozen myself. 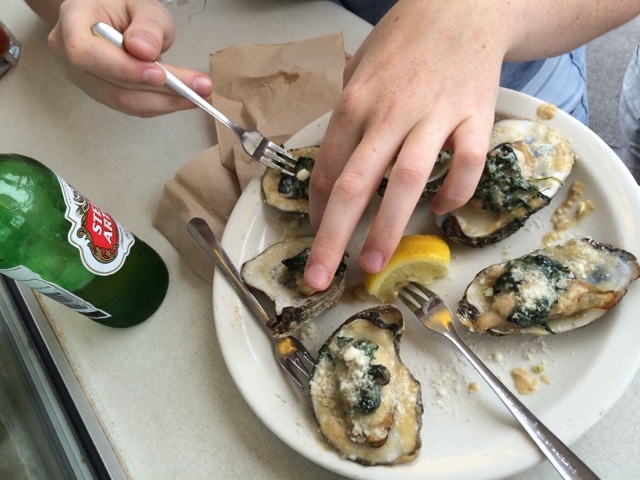 Finally, we went big and split a half dozen of the Oysters Rockefeller — seasoned perfectly with spinach, cheese and breadcrumbs. This was such a ton of flavor in a small shell. Highly recommend getting dozens of these. You won’t be disappointed. Overall, this is definitely a place off the beaten path in Buffalo to check out for a meal you can really develop yourself. Order a ton of great seafood to start or pick and choose as you go along. Splitting plates and meals like this with friends and family can be some of the best conversation starters and a new way to do dinner. 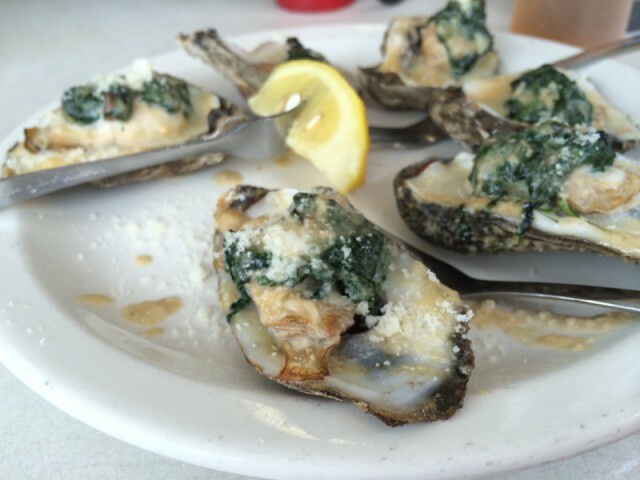 Tags: Buffalo, butter, clams, Kenmore, lemons, Marotto's, oysters, oysters rockefeller, raw bar, seafood. Bookmark the permalink.